Obtaining a debt settlement and paying less than what you owe is a smart financial move that proves your expert negotiation abilities right? Well, almost, however while paying back a creditor for less than what you owe is a smart play, you should be aware of how the IRS looks at your debt negotiation deal. The reality is that there are tax consequence of debt settlement as the Internal Revenue Service considers forgiven debt as income which could increase your tax liability. When a creditor decides that a debt is uncollectable, typically years after the original default, it will usually report this debt write-off to the IRS in the form of lost income. Likewise, the IRS will then turn to you for the taxes by treating your amount of forgiven debt as income on which you must pay income tax. This tax treatment applies to any amount of debt written off exceeding $600, and is reported in the form of a 1099-C IRS form. You’ll be notified if you have had any debt settlement money written off by receiving one of these forms by mail at the conclusion of the tax year. A deficiency payment is what a consumer owes after a foreclosure sale of a house or a repossession sale of an automobile. If the amount the creditor earned from selling your property is less than the total balance of the loan the debtor is responsible for paying this deficiency. There are a few exceptions to the reporting exceptions. For example, if you are insolvent before the debt settlement of debt write off, then you do not have to report this on your tax return. This of course, prompts the need for an additional IRS form, called the IRS Form 982. 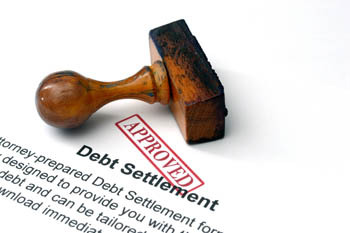 It’s not entirely uncommon for a creditor or collection agency to file a lawsuit over the debt, even after the debt is settled. While the rules differ from state to state, there may be a waiting period that applies to how quickly you can file bankruptcy after settling a debt.